24 per second = 1,481 per minute = 88,888 in an hour = just above 2.13 million per day. It's safe to say that just publishing content will not cut it anymore if you want to capture people's attention, keep them engaged and have them interact with your business. Watch the video to discover 4 ways to make your content more enjoyable to read and more efficient for your online business. Nobody has time to read fluff content. If your content isn't high value, no amount of formatting will help you to turn it into a useful piece for your content marketing strategy. Value is king. Anything you create has to be worth the time of your readers. 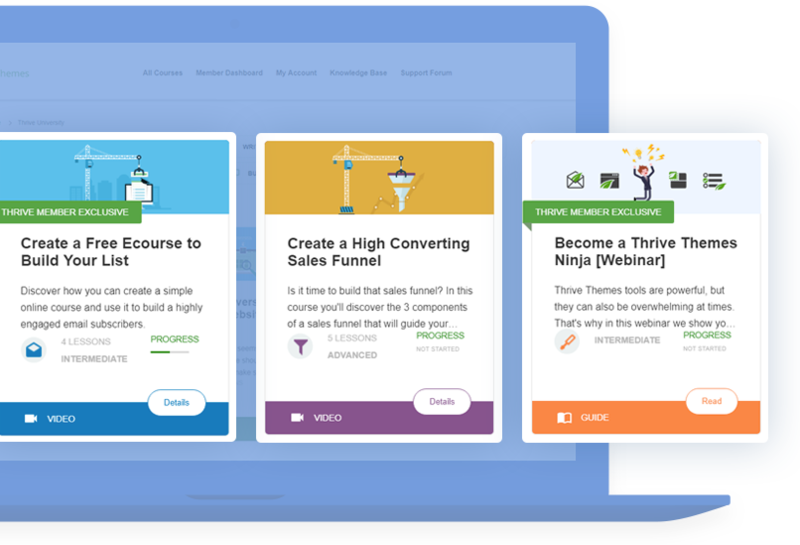 That's why we selected the article ​17 Best Sales Funnel Examples to Help Your Website Convert More Customers for this blog article makeover. Original content: it's not a rehashed list of 5 tips seen 20 times before. Well structured: it uses a repeatable pattern to make the content easier to digest and includes a table of contents at the beginning. In depth: it's well researched. The author put in the time and effort to write this article. Mixed media: it's documented with lots of images to break up the wall of text. Unfortunately, because of some fundamental mistakes, the article is hard to digest... Instead of getting the attention it deserves, it might get discarded as "too long" or "too much information". Let's dive into 4 techniques to turn this article from "OK" into "Amazing". With the quantity of information we consume daily, skimming and scanning become necessary tactics to decide whether a piece of content is worth reading in full. Skimming a text allows the reader to quickly get the main idea. We'll be talking more about this in technique 3. Scanning allows the reader to easily find the information they are interested in. 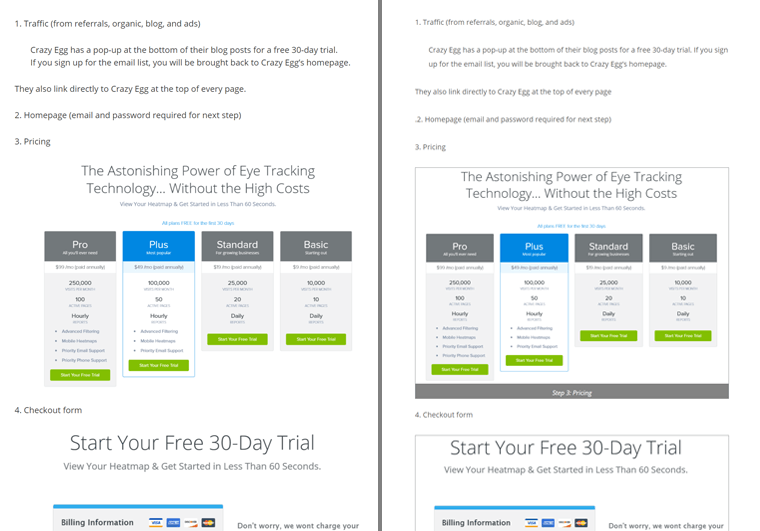 This is where visual hierarchy comes into play. 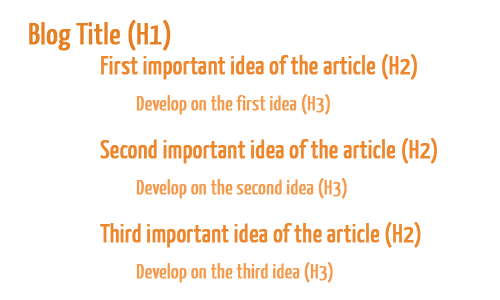 The most important information (the title of your article) should be the biggest text on the page. Next up are the subheadings. Each subheading should be bigger than the "normal" text on the page. If you're using a well designed WordPress theme, the size of the heading fonts should automatically be bigger than the size of the font of the paragraph. But you can always use the theme customization options to change the appearance of your titles. Our mind constantly tries to order the chaos around us. Gestalt psychologists found that there are universal laws we use to do this. These are also knows as "the principles of grouping". When you put a border around elements, our brain will consider them as a group rather than individual elements. This groups becomes separated from the surroundings. With the border around the images it becomes clear the text on the images is not part of the actual article. When elements are close together they become a group, a group that's separated from elements that are further away. This is where the use of white space becomes critical. Add extra margin in between elements to separate them from each other or reduce margins to group them together. Remember we talked about skimming? Your content is only as valuable as the perception your reader has about it.... Make the most valuable information stand out! One of the ways to assure your reader finds the most important pieces of information is by writing out the key takeaways from your content. This gives your reader the answer to the "So What?" question. In Thrive Architect​, you can quickly and easily add these key takeaway boxes to your post using content templates. Creating content is fun (or at least that's my opinion ;-) ) but it should also help your business! That call to action should be shown when someone is ready to commit. How many times did you arrive on a website and only after reading one or more articles you felt ready to buy or subscribe? Was this blog article makeover useful to you? Would you like to see more of them? Would you like us to review your article? Thanks for this great content review. Thanks Eugenio, happy you liked it. Thanks Joerg. Glad you found this helpful! Super, Hanne! Will be reengineering some content now! Nice! Bonus points for taking action, Martin! This is great stuff! I always enjoy the articles you guys post and I learn a ton every time. Thank you! Thanks Bryce :) We love teaching! Hi Hanne – love your articles – and your videos. Just gone through the Quiz ones – and I LOVE the way you pronounce ‘category’ – what’s up with people – I’m half Basque and half Irish, so imagine how I pronounce stuff:) And yeah, I’d definitely be up for having an article reviewed. And we might ask to submit blog posts in a near future. One of the top blog posts on Thrive Themes! Thanks, Hanne, for the clear explanations….you’re a master at video demonstrations. Thanks Pablo. Great to know this was useful! How did you copy that? Just cut and paste? Cut and past the html? I copied the text from the site (ctrl+c) and then I pasted it in TCB without formatting (CTRL+SHIFT+V), then I added in the paragraphs, bullet points, etc. Very helpful. I’m going to implement the white space separation for grouping and an image border on content I’m currently working on; Thanks! Those are some “small” tweaks that can make all the difference! I’m glad to hear this video inspired you to improve your content! Love the content containers on Content Builder. For some reason, the first time I tried them it was like playing with matches — underwater! I quit. When I took a second stab at it a few mos later, I was amazed at how intuitive the process was. I love what it’s done for my homepage (which has a whole lotta containers!). Wow. That Ctrl+C to Content Builder is a bit too powerful. Actually, insanely comprehensive articles are definitely our cup of tea, but readjusting to readers tendency to skim and scan by rearranging the focal points makes perfect sense, though it’s is a tough one to swallow since you would hope that the readers can go through the entire article! Thanks for a great post Hanne. I would love to see an in-depth blog post on different smart ways to use content containers. I haven’t seen the potential in them yet. Another great post, Hanne. Every week we can easily improve our blogs with your tips. Thank you! Hello, Hanne, nice tips and very well explained. Can you recommend some template to make great table of content for the bigger post (except known plugin like TOC+ etc). Maybe using Thrive content builder. I use Avada Theme in WP. My problem with Thrive Content Builder is matching both environments. I use TCB to do my landing pages and opt-in forms, but the rest of my site is in Avada. I also do my blog posts in Avada. Honestly switching 100% to TCB would be a lot of work, and probably it’s not necessary. What do you recommend? Is there any way to do the transition easier? If you can do all the fancy editing your like in Avada easily, I would continue doing that… But if you think using TCB would be faster or easier, just start using it from now on. You can use it without having to switch themes so you can keep Avada if you’re happy with it and create your blog posts and landing pages with Thrive Content Builder. Hanne: great article. Could have been better. Add a bullet point summary of what you said in the article at the end. That way your readers will not have to scan the article again to review your 4 points. What you are talking about is what Dan Kennedy calls “dual readership paths”. This concept makes it easy to attract people who read every word and those that bounce around in an article. Remember, charismatic people communicate on all 3 levels – auditory, visual, and kinesthetic. Typically people who read every word in sequence are creating an auditory pattern by actually listening to each word as they pronounce it in their brain. The people who skim the text are simulating a kinesthetic experience. At the end of the article, I want people to take action and get the most important call to action (to comment on the post) without distraction. I am just editing mine over 10,000-words article. This article, therefore, is salt to the egg! Fantastic! Thank you so much for continuously bestowing us with this kind of helpful tips too, hopefully, increase traffic to our or my website. Which makes it that much more important to help people get through it! Hanne. thanks again! I always love to read your posts. They are very helpful because you combine something to make content more effective, by using the content builder effective. And that is the second part! There are elements and features I was not aware of or how to customise and tweak them. Oooh………great job once again. Really, it’s too informative and helpful post for me…………………thanks a lot for sharing this kind information with us…………. When the content isn’t too long, is still good to use key takeways? In my opinion key takeaways are always a good way to add value to the content and make it easier for the reader! Hanne, You have me an idea for converting some of my old very long blog posts and make them better. I am perhaps too new with TCB to understand how to easily do this. But, it seems like this would take a long time to copy the old post content into the new TCB area. (the post was not made originally with TCB but just with normal wordpress editor) how did you copy the page to the test page? did you need to copy each item into a TCB module? or is there a way to copy paste with the images and all? I’m not going to lie, it takes a little time… But when you see the results it’s well worth it. 3) Add line breaks, bullet points, titles, images and content boxes. Perfect. I get it (I think). Thank you! Another value-packed content, Hanne. Thanks for all you do. Very helpful Hanne…Keep up the great work! Glad I stumbled on this article, because I’ve been thinking about how I can redesign some of my most high trafficked articles. Always impressed reading your valuable contents Hanne! Good luck updating Dave :) It’s really worth doing on high traffic posts. I like the visual hierarchy part. I must admit I made the same mistake for mixing up the font size in my website. Going to fix them up. Thanks for a great articel and the tips that follow. Great :) Happy you took away something actionable, Albert! Fabulous job with the video of your article makeover, Hanna! I’ve been looking for this very information. Thanks to what you showed and what you wrote, I finally understand the default margins in Thrive Content Builder. I also now appreciate the Takeaway boxes. Thanks. Very good item !! I always say this, content needs to be of value and well grounded, every day that passes people are increasingly demanding, we must grasp for quality and not quantity. I see a lot on the internet more of the same, very good reads articles that show us what actually results. Thank you!